I am always swooping in with the last minute inspiration haha. 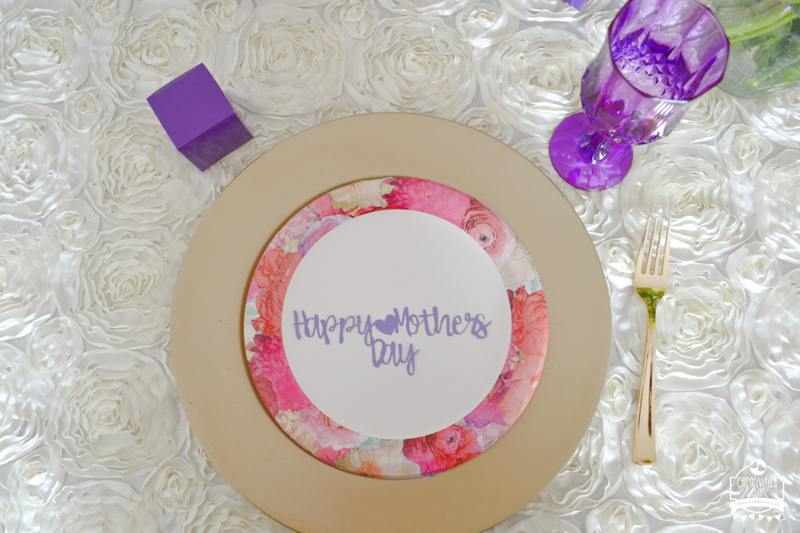 Today I am sharing a Mother’s Day tablescape that you can set up in 5 minutes or even less. A tablescape does not always have to be elaborate in order to be beautiful. 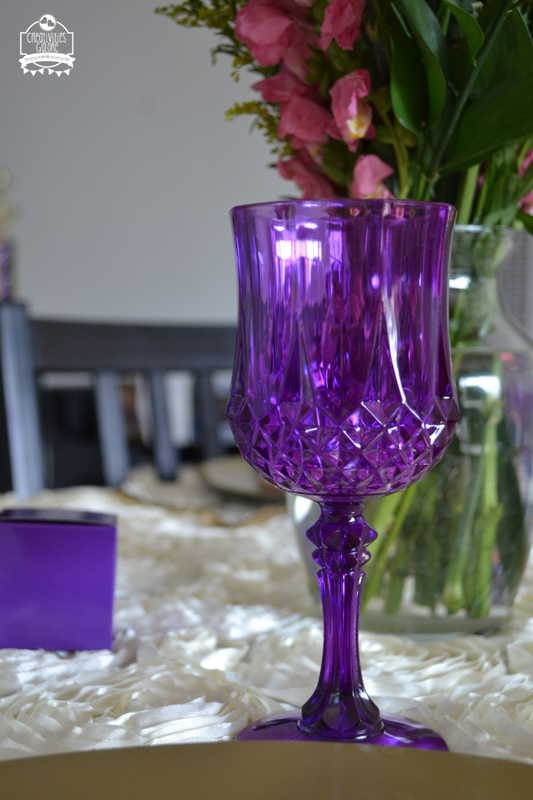 I hope the tips I will share with you today will help ease any stress you may have about setting up your own tablescape. Disclosure: Post contains affiliate links, read my full disclosure HERE. 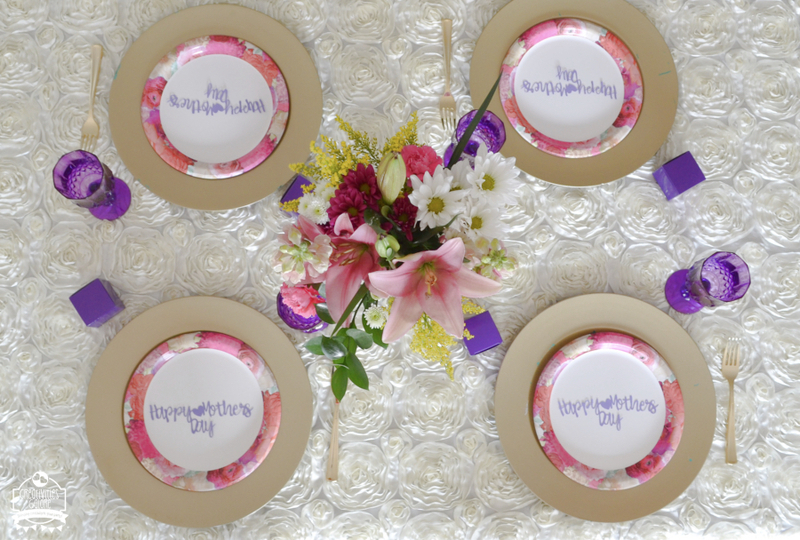 I began my Mother’s Day tablescape design by first placing a rosette table cover over my dining table. 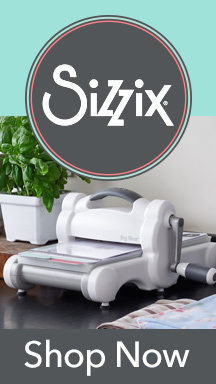 I found a very similar table cover here just in case you have been wanting one. Next I began building up my table settings which started with a gold charger. Now my first tip for a stress free set up is cute disposable tableware, like here I used paper plates that had a floral border. Next I put a gold disposable fork and a purple favor box filled with yummy chocolate. 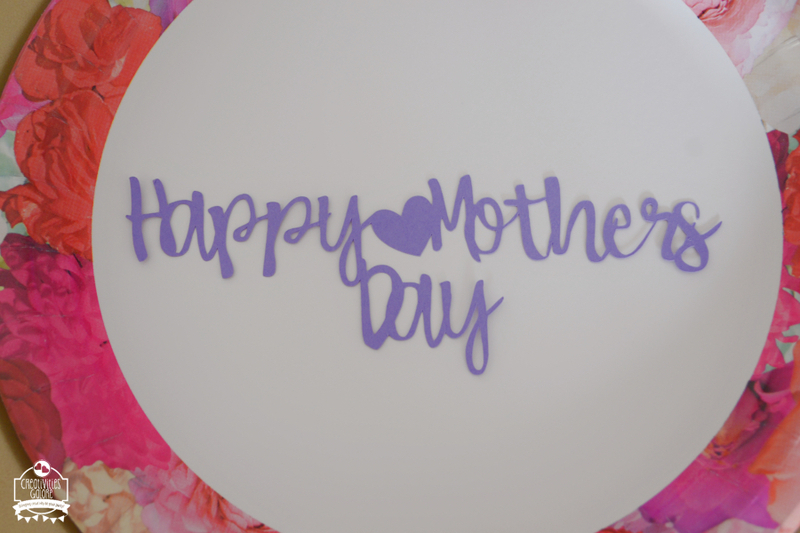 To dress up the paper plates even more I cut out the phrase “Happy Mother’s Day” on card stock and placed it on the center of the plate. And look these beautiful wine glasses made an appearance again. I just love them and get so happy when I get to use them. 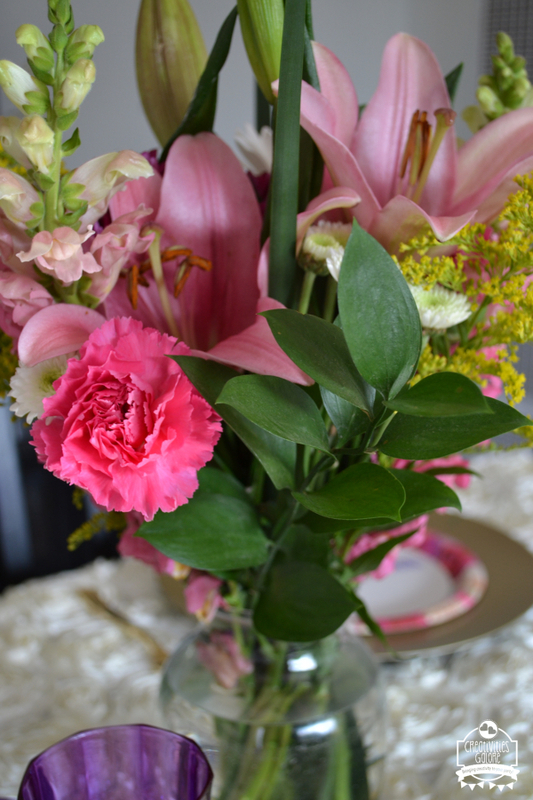 Another tip for a stress free tablescape creation is getting a store bought floral bouquet and putting the flowers in your own vase. This floral bouquet only cost me $10, the flowers were gorgeous plus it was the perfect color palette for my table. As you can see it doesn’t have to be stressful or budget breaking to set up a beautiful tablescape that is sure to impress your guests. One more tip would be to set up the table the night before so you can only worry about the food on the actual day. I hope this Mother’s Day tablescape inspired you for your own table. In Mother's Day, Tablescape. Bookmark the permalink.